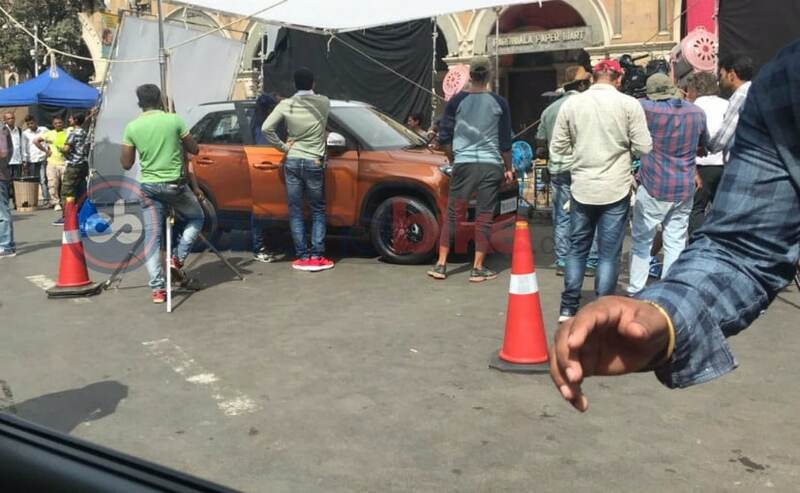 A new variant with a new colour of the Maruti Suzuki Vitara Brezza has been spied and could possibly be the new AMT version of the sub-compact SUV that is expected soon. The Maruti Suzuki Vitara Brezza is the highest selling SUV in the country. Available with bright colours and two tone options such as a red body and a black roof or a blue body and a white roof in the top spec variant, the Brezza ha ushered in a whole variety of factory or dealer fitted accessories. 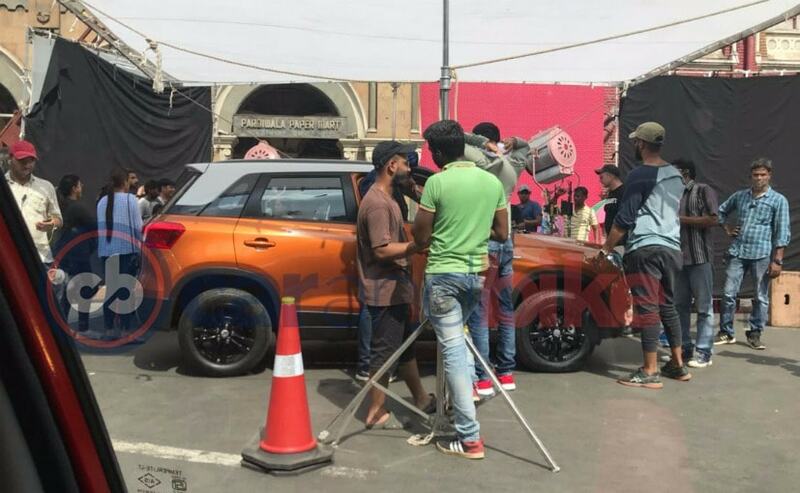 And now a brand new bright orange colour option on the Maruti Suzuki Vitara Brezza has been spied undergoing what appears to be a shoot for a video advertisement. The orange colour seen here, is slightly darker than the bright orange seen on the recently launched Maruti Suzuki Celerio X and is more like the orange that was available on the first generation Swift back in 2005. 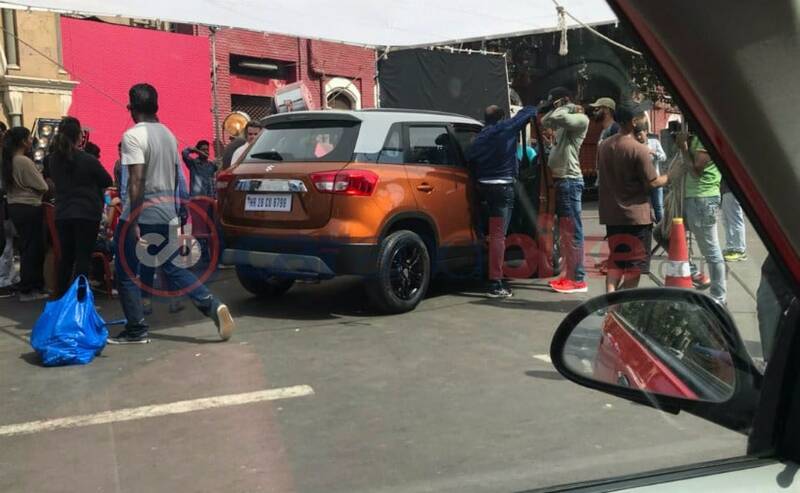 While we have not had a chance to peak into the cabin, this updated car could possibly be the Maruti Suzuki Vitara Brezza AMT Diesel that is due for launch in the coming months. With AMT available on the Ignis, Dzire and Swift with both petrol and diesel engines, offering an AMT option on the Vitara Brezza is only a logical step. When the Brezza goes get the diesel AMT option, it will be a 5-speed unit just like the one available on the likes of the Dzire. The Maruti Suzuki Vitara Brezza spied in the images also gets a set of black 17-inch alloy wheels, the same ones on the top spec ZDI+ model and a combination of a white two-tone roof. The orange Vitara Brezza spied here was running the DDIS badges (diesel engine) just like the current sub-compact SUV available in the market. Maruti Suzuki is also contemplating the launch of the petrol powered Vitara Brezza soon. The introduction of an orange colour on the Vitara Brezza though is not surprising. What has become quite the usual trend amongst mass market automakers, a bright orange is offered in the likes of the Hyundai i20 and Grand i10, the Renault Captur, the Nissan Micra, the Mahindra KUV100, Tata Tiago and the Honda Jazz amongst others. The Maruti Suzuki Baleno was also launched in the orange shade as its communication colour. In fact, the recently launched Tata Nexon AMT was introduced in the Etna Orange paint scheme.